It is that time of year again when everyone seems to have respiratory ailments. Respiratory ailments are defined into two broad categories, upper and lower respiratory problems. Upper respiratory problems usually have simple ailments such as a cold, runny nose, sinus congestion, laryngitis, earaches and sore throat. Upper respiratory problems are typically bothersome but easier to treat. Lower respiratory problems usually affect the lungs and the bronchi. Most people that suffer from lower respiratory ailments have a cough, difficulty breathing, chest pain and wheezing. Chronic respiratory problems can increase a person’s chances of developing more serious conditions such as pneumonia. Often times people will be prescribed an antibiotic for respiratory infections. This has led to the overuse of antibiotics and resulted in many antibiotic-resistant strains. Due to these antibiotic-resistant strains, many people are seeking out medicinal plants to treat upper and lower respiratory ailments. Lungwort has been used to promote lung and other respiratory health. Lungwort is effective in clearing upper and lower respiratory congestion and fighting harmful organisms which may affect respiratory health. Eucalyptus isn’t just for the koalas. This medicinal plant has been used for centuries in the treatment of respiratory conditions. 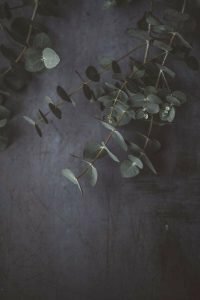 Eucalyptus soothes throat and lung passageways. It is often a favorite essential oil that is added to vaporizers in the winter months to help people breathe. It can be found in throat lozenges and cough syrups. It is an expectorant used to ease a cough, fight sinus congestion and support the immune system to fight off a cold or other respiratory illnesses. Chaparral is a medicinal plant commonly found in the southwest. This herb has powerful antibacterial, viral, decongestant and antihistamine effects on the lungs and respiratory system. It is very effective at clearing mucus from the upper and lower respiratory system. Thyme and Oregano are similar in their actions on the respiratory system. These are both powerful medicinal plants that everyone should have in their medicine cabinet. Both herbs are antibacterial, anti-viral and anti-fungal. These medicinal plants not only fight infection but also act as decongestants and antihistamines. They can eliminate mucus, kill whatever bug is making you ill, clear nasal passageways and aid in improving your lung health overall. It may also protect a person from bacterial pneumonia and boost up their immune system. Other medicinal plants that deserve to be mentioned are Elecampane, Peppermint, Ginkgo, Plantain Leaf, Turmeric, Osha Root, Coltsfoot, Echinacea, Lobelia, Mullein and Licorice. All of the above herbs are available in supplements, teas, tinctures, and essential oils. Plus, some of these herbs can be grown to consume as food. When considering a medicinal plant for health issues including respiratory treatment, please check with your health care provider.